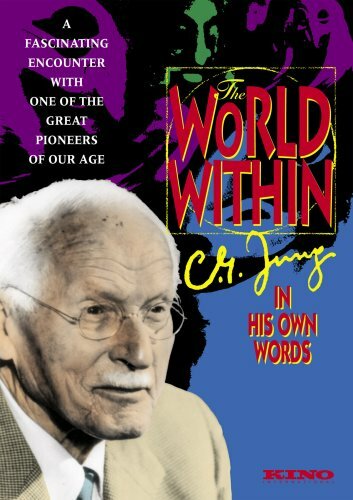 Alternatives to the Jung Documentary, "The World Within"
A Guide to Jung's Comments in "The World Within"
"The reality of psyche is the conceptual and experiential axis around which Jungian psychology is organized; everything else such as archetypes and collective unconscious, the components of psyche, as well as psyche's teleological or purposeful function, originate from this primary understanding. The reality of psyche means exactly that. It is real and not just a metaphorical construct . . . ."
"Philemon and other figures of my fantasies brought home to me the crucial insight that there are things in the psyche which I do not produce, but which produce themselves and have their own life. Philemon represented a force which was not myself. In my fantasies I held conversations with him, and he said things which I had not consciously thought. For I observed clearly that it was he who spoke, not I. He said I treated thoughts as if I generated them myself, but in his view thoughts were like animals in the forest, or people in a room, or birds in the air, and added, 'If you should see people in a room, you would not think that you had made those people, or that you were responsible for them.' It was he who taught me psychic objectivity, the reality of the psyche. Through him the distinction was clarified between myself and the object of my thought. He confronted me in an objective manner, and I understood that there is something in me which can say things that I do not know and do not intend, things which may even be directed against me. 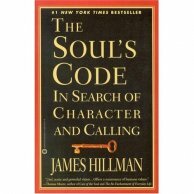 Psychologically, Philemon represented superior insight. He was a mysterious figure to me. At times he seemed to me quite real, as if he were a living personality." "The unconscious is like a parallel universe, peopled by interior selves and figures that correspond in part to the people of our day world, but who are by no means reducible to external realities." In Memories, Dreams, Reflections, Jung talks about coming around to the idea that Freud's idea of the personal unconscious was incomplete. He posits the presence of "a history of successive layers of consciousness" that must include "an altogether impersonal nature underlying" the psyche that is a part of the psyche, thus, "a collective a priori beneath the personal psyche." Jung recognizes these "traces of earlier modes of function" as "forms of instinct" that he began to identify as archetypes. "The archetype is a force. It has an autonomy and it can suddenly seize you. It is like a seizure. Falling in love at first sight is something like that." "To [Freud] the unconscious was a product of consciousness, and simply contained all the remnants; it was a sort of store-room where all the things consciousness had discarded were heaped up and left. To me the unconscious then was already a matrix, a basis of consciousness of a creative nature, capable of autonomous acts, autonomous intrusions into consciousness. In other words, I took the existence of the unconscious for a real fact, a real autonomous factor capable of independent action." "I began to see that the structure of what I then called the 'collective unconscious' is really a sort of agglomeration of . . . typical images, each of which has a numinous quality. The archetypes are, at the same time, dynamic; they are instinctual images that are not intellectually invented. They are always there and they produce certain processes in the unconscious one could best compare with myths. That's the origin of mythology. Mythology is a dramatization of a series of images that formulate the life of the archetypes. . . . [M]an is not complete if he is not conscious of that aspect of things. And so, you see, a man is not complete when he lives in a world of statistical truth. He must live in the world of his mythological truth . . . ."
"[I]t took me quite a long time to discover that there is another type than the thinking type . . . . There are other people who decide the same problems I have to decide, but in an entirely different way. They look at things in an entirely different light, they have entirely different values. There are, for instance, feeling types. And after a while I discovered that there are intuitive types. . . . And the last, and the most unexpected, was the sensation type. And only later I saw that these are naturally the four aspects of conscious orientation. You see, you get your orientation, you get your bearings in the chaotic abundance of impressions, by the four functions. I also found that the study of types gives you a lead as to the personal nature of the unconscious, its personal quality in a given case. If you take an extravert you will find his unconscious has an introverted quality, because all the extraverted qualities are played out in his consciousness and the introverted are left in the unconscious . . . . That gave me a lead of diagnostic value, it helped me to understand my patients." 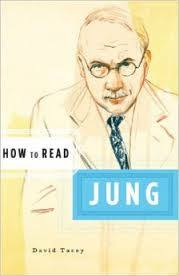 "[T]he persona may be counted among Jung's less abstruse and more practical conceptions. From the Latin word for an actor's mask, which in turn represents his role within the play, the persona, in the psychological meaning coined by Jung, is that part of the personality developed and used in our interactions, our conscious outer face, our social mask. Our persona may be a well-developed, socially adapted face—the famous writer, the devoted spouse, the rising young executive—or, on the contrary, a well-developed but socially unadapted face—the rebellious artist, the argumentative gadfly, the stubborn curmudgeon—but it is still the persona, a face and a role shown to others and used to give form to our outward sense of self." "Toward the autumn of 1913 the pressure which I had felt was in me seemed to be moving outward . . . .
To the extent that I managed to translate the emotion into images—that is to say, to find the images which were concealed in the emotions—I was inwardly calmed and reassure3d. Had I left those images hidden in the emotions, I might have been torn to pieces by them. There is a chance that I might have succeeded in splitting them off; but in that cause I would inexorably have fallen into a neurosis and so been ultimately destroyed by them anyhow. As a result of my experiment I learned how helpful it can be, from the therapeutic point of view, to find the particular images which lie behind the emotions. I wrote down the fantasies as well as I could, and made an earnest effort to analyze the psychic conditions under which they had arisen. But I was able to do this only in clumsy language. First I formulated the things as I had observed them, usually in 'high-flown language,'for that corresponds to the style of the archetypes. archetypes speak the language of high rhetoric, even of bombast. It is a style I find embarrassing; it grates on my nerves . . . . But since I did not know what was going on, I had no choice but to write everything down . . . . Below the threshold of consciousness everything was seething with life. From the beginning I had conceived my voluntary confrontation with the unconscious as a scientific experiment which I myself was conducting and in whose outcome I was vitally interested. Today I might equally well say that it was an experiment which was being conducted on me. . . . I had been challenged by fate. Only by extreme effort was I finally able to escape from the labyrinth. In order to grasp the fantasies which were stirring in me 'underground,' I knew that I had to let myself plummet down into them, as it were. I felt not only violent resistance to this, but a distinct fear. . . . A cogent motive for making the attempt [the descent into the unconscious] was the conviction that I could not expect of my patients something I did not dare to do myself. . . . I was well aware that the so-called helper—that is, myself—could not help them [patients] unless he knew their fantasy material from his own direct experience, and that at present all he possess were a few theoretical prejudices of dubious value. This idea—that I was committing myself to a dangerous enterprise not for myself alone, but also for the sake of my patients—helped me over several critical phases." "The dream is a revelation from the psyche . . . . It is a transpersonal message from the depths, and we should adopt a position of humility towards it. Jung believed the dream had to be approached with surprise and wonder, and we should be prepared for insights, both pleasant and unpleasant, that would be made known to us." "The mandala is just one typical archetypal form. It is what they called in alchemy the quadratura circuli, the square in the circle or the circle in the square. It is an age-old symbol that goes right back to the prehistory of man. It is found all over the earth and it expresses either the deity or the self. . . . The mandala is a very important archetype. It is the archetype of inner order . . . . It expresses the fact that there is a center and a periphery, and it tries to embrace the whole. It is the symbol of wholeness. So you see, when during the treatment there is a great disorder and chaos in a man's mind, this symbol can appear in the form of a mandala in a dream, or else he makes imaginary, fantastical drawings, or something of that sort. The mandala appears spontaneously as a compensatory archetype, bringing order, showing the possibility of order. It denotes a center which is not coincident with the ego but with the wholeness which I call the self--this is the term for wholeness. I am not whole in my ego, my ego is a fragment of my personality. The center of a mandala is not the ego, it is the whole personality, the center of the whole personality." 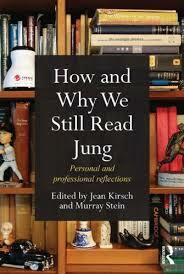 "Jung's term ego is virtually identical to Freud's; it is the centre of our conscious identity and selfhood. However, for Jung, the task of the ego is to transform itself by integrating as many contents of the unconscious as possible, in which case it begins to function as an ancillary organ of the Self. The Self is an archetype which expresses the totality of the psyche and includes the ego and the unconscious . . . .
Jung postulated a transcendental element that facilitates our journey towards wholeness. This element, or archetype, Jung calls the Self, and it acts as an invisible guarantor of the ego as it makes its journey through life. . . . For Jung, the ego is the centre of consciousness, the focus of our personal identity, whereas the Self is the centre of the entire psyche, conscious and unconscious, and thus the focus of our transpersonal identity. . . .
[The Self] has no equivalent in the Freudian system . . . . The Self is virtually a transcendental concept, and it cannot be know directly by the ego, but only indirectly through symbol, dream and myth." [Jung observes that] "when you talk to an individual and he gives you insight onto his inner preoccupations, interests, emotions—in other words, hands over his personal complexes—you [the therapist] gradually get into a position of authority whether you like it or not. You become a point of reference, you are in possession of all the important items of a person's development. . . . ." In this "emotional relationship to the analyst," Freud observed what he called the transference" which is a central problem in analytical psychology. It is just as if these people had handed over their whole existence, and that can have very peculiar effects upon the individual. Either they hate you for it, or they love you for it, but you are never indifferent to them. When they hand out such material ['something important, emotionally important'] its context is associated with all the most important persons in the life of a patient. The most important persons are usually father and mother--that comes up from childhood. The first troubles are with the parents as a rule. . . . [I]t is just as if the analyst had taken the place of the father, or even of the mother. . . . This is what one calls transference, a typical instance of project. . . . This means we have to work through that condition in the hope of reaching a situation where the patient is able to see that I am not the father, not the other, that I am an ordinary human being." Jung observes that the idea that we can live without myth is a "mutilation of the human being" and a "disease." Rollo May wrote a book about myth which you may find interesting. Additional Introductory Works to Consider: Peter O'Connor, Understanding Jung, Understanding Yourself (New York: Paulist Press, 1985); Robin Robertson, Beginner's Guide to Jungian Psychology (Lake Worth, Florida: Nicolas-Hays, Inc., 1992); Murray Stein, Jung's Map of the Soul: An Introduction (Chicago: Open Court,1998); Eugene Pascal, Jung to Live By (New York: Warner Books, 1992).